Minneapolis-based record label Doomtree has quite the roster of talent. Doomtree is the equivalent of the Justice League in hip hop; their super powers dominate the competition and they have no qualms with speaking out against wrong doings. 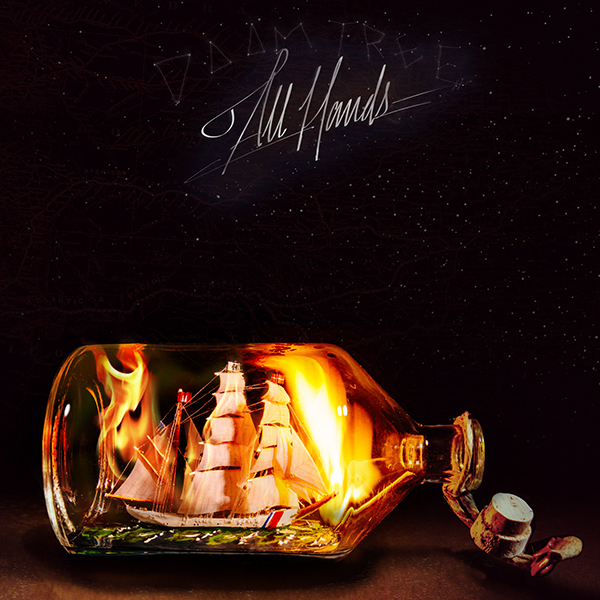 On their 3rd official LP release, All Hands, the seven caped crusaders of Doomtree bust skulls and show that they are the heroes we deserve. “Final Boss,” starts off the LP with P.O.S paving the way. Each member’s style is diverse as they blend perfectly together. “.38 Airweight,” and “Gray Duck,” – two singles from the record – are two of the best tracks on the album. Both tracks do what this crew does best, and that is attacking the system and using their microphones like homemade pipe bombs. Sims professes, “See what is left is suspect/The Pepsi Gen went crystal meth/And punk rock dads scream rap is dead,” on “Gray Duck,” pointing out the irony in generation gaps and trends. Sims, P.O.S., Desa , Cecil Otter and Mike Mictlan out do themselves crafting some wonderful verses between the 5 of them. And mixed with Paper Tiger and Lazerbeak, the crew creates some of the most interesting instrumentals and beats today. Usually when there are so many hands in the studio it can have a patchwork feel to it. But that’s not the case with All Hands – the album flows beautifully from one track to the next. Doomtree has once again shown that they are one of the best independent record labels around today. Each member with their own style and diversity add that special kick to the song. One gets the feeling that Doomtree are doing what they love and making the music they want, too – not just to pay the bills or for the gold records. But because they have a certain message, they want to sign it into the night sky, like the bat symbol over Gotham.